RØDELink represents the next generation of digital wireless systems. Using a series II 2.4GHz digital transmission with 128-bit encryption, it is able to constantly monitor and hop between frequencies to maintain the strongest possible signal level at a range of up to 100 metres* (over 100 yards). 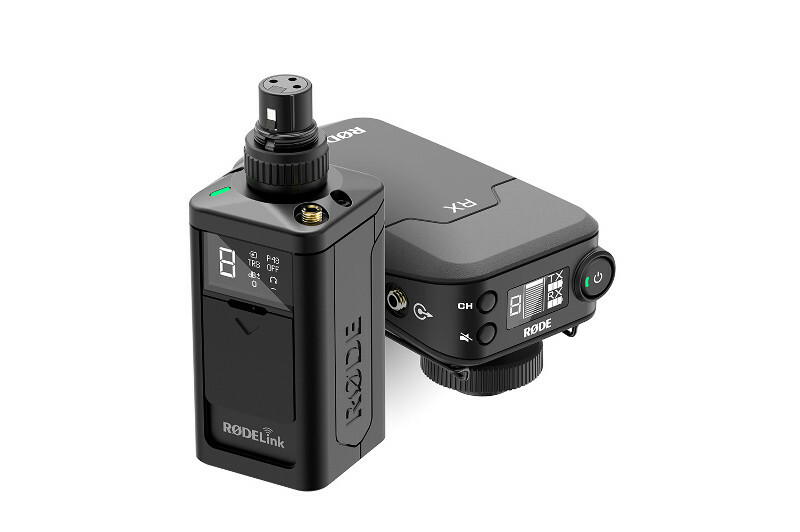 The RodeLink Newsshooter Kit provides everything you need to start shooting video wirelessly with XLR microphones, including a camera-mounted receiver and an XLR transmitter. The receiver (RX-CAM) features an OLED display with information on level, battery status (receiver and transmitter), mute and channel selection. The unit can be mounted on a standard camera shoe mount, 3/8″ thread or belt-clip, and for added versatility the shoe mount can be located in one of two positions. The transmitter (TX-XLR) easily connects to handheld presentation microphones as well as shotgun microphones, with a 3.5mm input and headphone output.